Several years ago at the Palace of Versailles, just outside of Paris, I was unable to avoid lumbering through the château on one of the most crowded days of the year — a Tuesday in July. A steady crush of visitors shuffled through the muggy one-way route leading to the payoff: the magnificent Hall of Mirrors. Sights like these are a thrill and worth every sweaty second, but I could have avoided the worst crowds by coming late on a Wednesday afternoon instead (it's closed on Mondays, so Tuesdays are always packed). Sometimes I make mistakes so my readers don't have to. 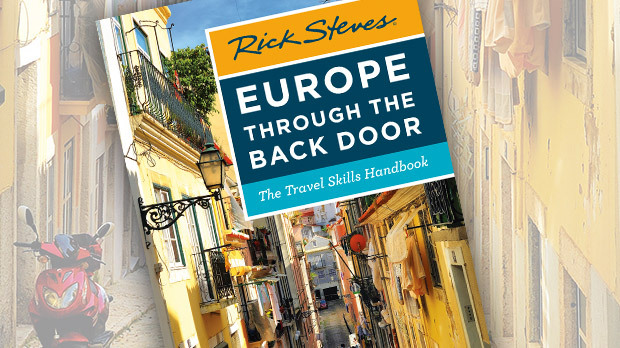 Here are some more tips for dodging crowds in Europe. In the most crowded European cities, it pays to get out early and stay out late. This is especially true at places popular with cruise excursions and big-bus tour groups. 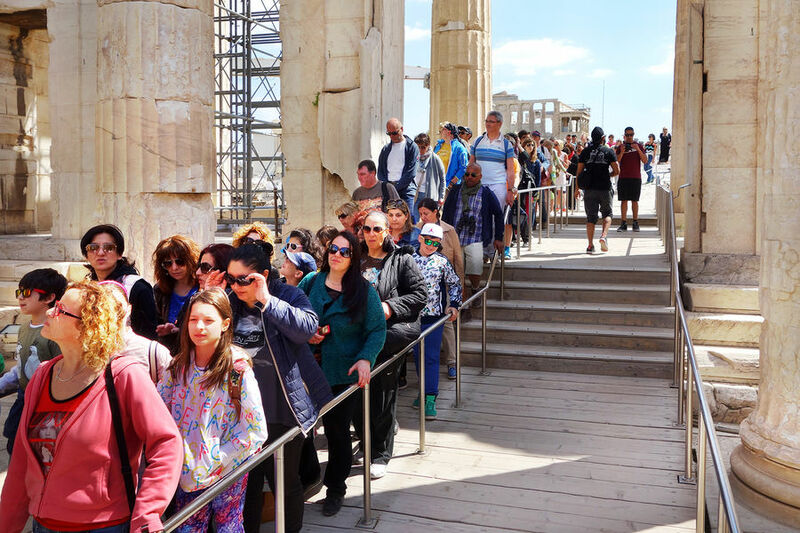 In Athens, cruise passengers swarm the Acropolis until 5 p.m. That's when I head in, and I'll stay until the guard blows his whistle at me to leave. In Italy, midday crowds fill the streets and blockbuster sights in Venice, but at 7 a.m., you're able to enjoy the beauty of St. Mark's Square alone. In the evenings, cafés on the square can be relatively empty, even with the allure of their mini-orchestras. The moral: Get up early and stay out late, and you can experience the city almost all to yourself. In bigger cities, many sights are open late one or two nights a week. For instance, London's Tate Modern stays open Friday evenings, when you can enjoy Dalí and Warhol in near solitude. When most tourists are lying exhausted in their rooms, I linger alone, taking artistic liberties with some of Europe's greatest works in empty galleries. At state-run museums in Italy, such as Florence's Uffizi Gallery, admission is free on the first Sunday of the month — so they're very crowded. It's not worth enduring the mob scene to save a few dollars — visit on a paid day instead. Traveling off-season (November–March) lets you avoid the peak-season pig pile. Big cities offer plenty to do year-round — and you'll avoid the stampede of busier times. Ponder Rome's Forum in peace, kick up sand on lonely Adriatic beaches, and stroll by Big Ben in London as you wonder, "Where are the tourists?" Use an up-to-date guidebook. Even at the most packed sights, a good guidebook can usually suggest a strategy for breaking out of the herd, whether it's a side entrance with a shorter wait, a guided tour that includes jumping the ticket line, a better place in town to pick up your ticket, or a museum pass with line-skipping privileges. Sometimes getting in more easily is just a matter of picking the right door. Grand as the Louvre's main entrance is, that glass pyramid stops looking impressive as you wait — and wait — to get through security. You can't bypass security checks, but you'll encounter shorter lines if you use the less-crowded underground entrance. Self-service ticket machines often intimidate American travelers, but usually provide a faster way in to a sight. On my last trip to St. Petersburg, I bought my ticket to the Hermitage at a kiosk and walked right past a ticket line bulging with cruise-ship travelers — and within minutes was enjoying the czars' grand art collection. Many museums now also offer convenient mobile ticketing, saving time and paper. Many popular sights, like the Anne Frank House in Amsterdam, sell advance tickets online that guarantee admission at a certain time (often with a small booking fee that's well worth it). Given how precious your vacation time is, it makes sense to get reservations for any must-see sight that offers them — it's worth giving up some spontaneity. Many cities offer a citywide sightseeing pass. These aren't always a great deal — it pays to do the math — but more often than not they can save you serious time as well as money. For example, the Paris Museum Pass covers many top sights and allows you to skip ticket-buying lines. Combo-tickets can save time, too: Purchase the ticket at the less-popular sight, and avoid the ticket-buying line at the popular sight. For instance, if you're in Madrid and planning to see both the Reina Sofía Museum and Prado Museum, there's no reason to wait in the ticket line at the Prado — buy your combo-ticket at the less-trafficked Reina Sofía. Visit less-well-known destinations. The beaches of Greece's Peloponnesian Peninsula enjoy the same weather and water as highly promoted islands such as Santorini and Ios — but are wonderfully deserted. If you're traveling by car, take advantage of your mobility by leaving the well-worn tourist routes. The Europe away from the train tracks is less expensive and feels more peaceful and relaxed. No matter how well-conceived your plans, it's inevitable that at some point you'll find yourself packed shoulder-to-shoulder with other visitors and their intercontinental B.O. 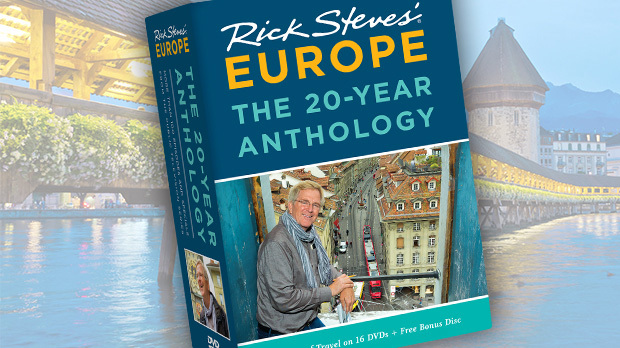 But, equipped with these crowd-beating strategies, you can elude the worst of the hectic tourist routine and make the most of all Europe has to offer.